We see our job as having two major goals: Educating travelers about their options, and then just being there for them — before, during, and after their purchase. When you're shopping for travel insurance, you want to make sure you're getting the best information from people who really understand both your needs and the insurance industry. Ideally, you'd probably also like to be able to get that information from real live human beings who genuinely want to help you, not just fill some sales quota. In this day and age, that can seem hard to find, but it's been our goal since day one to make that vision of personal customer service a reality. Welcome to InsureMyTrip’s Customer Care Center, where we don’t have any salespeople — instead we have fully licensed insurance professionals. Our Customer Care representatives don’t get commissions and we don’t track their sales. We just ask them to do one simple thing: Answer your questions about travel insurance and find the best plan for you, even if the “best” plan is “no plan at all.” They'll stay on the phone or on live chat with you for as long as it takes to help you feel comfortable. 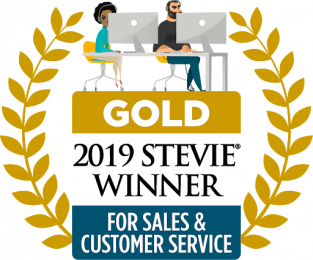 Our licensed customer care team has earned awards and recognition from the Stevie Awards in 2014, 2018, and 2019. InsureMyTrip's Anytime Advocate® program put over $1,000,000 back into our customers' pockets by advocating during a claim process or reversing a claim denial. We offer a unique Anytime Advocates® service to all travelers. If you file a claim and feel it’s been unfairly denied, we have advocates who can work with the insurance companies to make sure they take a second look. No matter the stage of your claim process, as long as it has begun - we're in business to help. Our team has put over $1,000,000 back into the pocket of our customers. Contact us during our regular business hours for further assistance. Our representatives don’t accept commission from the companies we represent, so any information we offer to help you choose a plan is strictly unbiased. After all, if we didn't believe in every one of our travel insurance providers, we wouldn't work with them in the first place. We may be based in Rhode Island, but we love all 50 states equally. Our representatives are licensed in every state so they can make sure your insurance purchase is up to the legal standard of your state, no matter where you live. Travelers love InsureMyTrip’s service, and they’re not afraid to show it. Read customer testimonials and hear what others have to say, or submit your own testimonial.